New York: Researchers have discovered a panel of unsaturated fatty acid markers in blood that could lead to a simple test to warn people years before the onset of diabetes. The findings could ultimately many people to make necessary lifestyle changes to avoid the chronic disease. “Currently there are no clinical tests that tell you the likelihood of developing diabetes,” said one of the researchers Wei Jia from University of Hawaii Cancer Centre in the US. “To know if you are likely to get diabetes in a few years is an important discovery. People can hopefully get tested for the disease during physical exams in the future,” Jia noted. 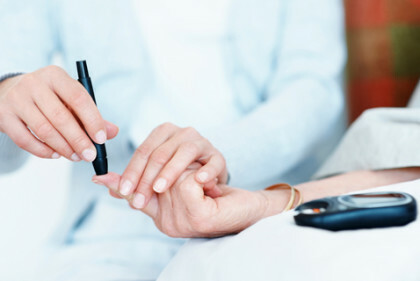 The markers through a blood sample test may help predict the risk of developing pre-diabetes and metabolic syndrome, which is a group of conditions including elevated blood pressure, insulin resistance and high glucose level, the study noted. “It is conventionally assumed that if people are obese they are at risk of being pre-diabetic. However, sometimes people who are obese can still be healthy. If people know they are specifically pre-diabetic they can have a more targeted way of treating it,” Jia said. The research team conducted a metabolomics study on four independent cohorts that involved a total of 452 participants. The team performed a cross-sectional study with metabolically healthy and unhealthy obese participants, a longitudinal study to observe the occurrence of developing pre-diabetes over as long as 10 years, and two studies to evaluate the therapeutic effects on participants who underwent metabolic surgery or received very low carbohydrate diet for eight weeks. The study was published online in the journal EbioMedicine.